One of the most difficult aspects of managing a trucking company – especially a small trucking company – is the cash flow. Cash flow is all about how money moves through your company. Unfortunately, when you have clients that pay 30 to 60 days after you have shipped for them, the cash flow can become a little strained. This is because, even though your customers have not paid yet, you still have daily expenses: truck maintenance, pay checks to personnel, fuel costs and more. So how do you cover these expenses when you do not have the ready capital to hand? 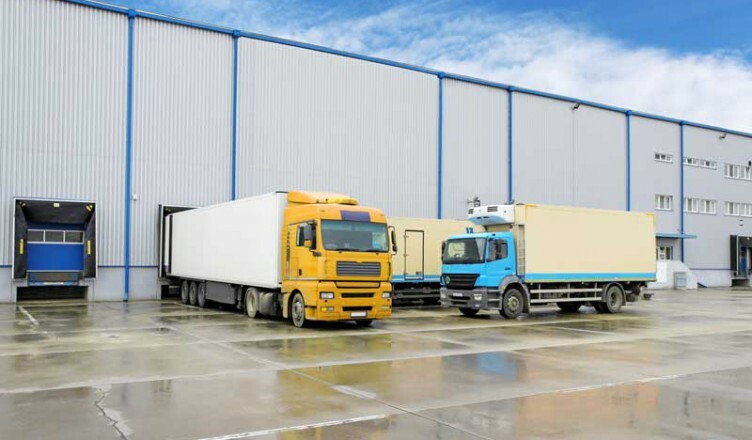 One solution can be freight bill factoring. If you are a small trucking company (and maybe even a medium sized or large one), you know that sometimes it can be tough to get traditional loan financing. Often, especially if you are start up, or if you are going through a rapid period of expansion, you just do not have the available credit for traditional loan financing – and you still have the need for cash. In such cases, freight bill factoring can help you obtain the capital you need. In freight bill factoring, a financing company – called a factor – basically buys the freight bill from you and advances you the cash. Often, the factor will in turn collect from the customer, meaning that once you turn the invoice over, it is also no longer something you need to worry about. Documentation. Proper documentation will be needed when you present a freight bill for factoring. You will need an original bill of lading, as well as other documents that the factor may request. Fees. Be aware that you will be charge a fee for the advance. This is typically between three percent and five percent of the total. The fee depends on how reliable your customers are, and sometimes can depend on how quickly they pay their invoices. Reserve. Sometimes, a factor will hold a reserve from the advance on the invoice. In such cases, many of them will pay between 85 and 90 percent of the freight bill up front. This is the advance. The rest is held in reserve, just in case the invoice is not paid, or if other fees need to be collected. When the invoice is paid, the rest of the freight bill (minus the fee) is paid. For example, if you have a bill for $1,000, the company may only advance you $900 on the spot. (Remember, though, this is better than the $0 you be getting otherwise.) If the fee is three percent of the total, $30 would be subtracted from the remaining $100 when the customer pays the invoice, leaving you with an additional $70. Recourse v. non-recourse. It is very important to determine whether or not the factor you are working with offers a recourse or a non-recourse agreement. This is because it can make a very big difference in the rights the factor has in collecting on an invoice that is not paid. In a recourse agreement, the factor can require you to pay some or all of a freight bill if the customer does not pay. In a non-recourse factoring agreement, once freight bill is turned over to the factor, it is solely the factor’s responsibility. You are in the clear if the customer does not pay – you can keep your money (although you may not get the reserve back). Getting your money from the factor. You need to find out how the factor will pay your advance. With freight bill factoring, the most common methods are wire transfer, ACH transfer and check. It is important to note that the funds may not be available for immediate withdrawal from your account. In same cases it may take 24 to 48 hours for the money to become available to you. Freight bill factoring can be very beneficial to trucking companies. It allows you almost immediate access to capital, and can keep the cash flow in your company more liquid.